Famous for having the world's greatest marine biodiversity, this expansive archipelago offers so much more, with vibrantly healthy reefs, thriving hard and soft corals, and uniquely stunning scenery above and below the waterline. Often described as The World’s Richest Reefs, the sheer volume of marine life in this region is amazing, with everything from pygmy sea horses to dense schools of fish to massive mantas represented in abundance. There are also a number of species that exist nowhere else, including the photogenic Raja Epaulette Shark, which actually prefers walking to swimming! Our home for this trip was the spacious and beautifully appointed live-aboard Arenui, bringing the benefits of an attentive, highly experienced crew, outstanding hospitality, gourmet cuisine, and the range to cover both northern and southern regions of this very special destination. Initially we headed south to the Fiabacet region, where we explored thriving reefs that cling to the steep slopes of numerous limestone islets. 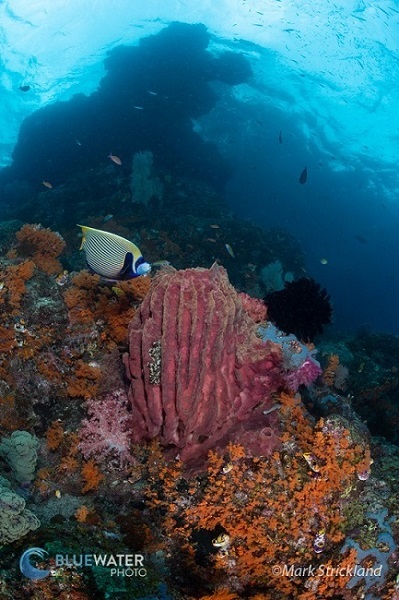 This rugged topography provides hiding places for a tremendous range of marine life, including vibrant soft corals, colorful crinoids, critters of all descriptions, and a huge variety of reef fish. As we descended on our first dive, we were greeted by schools of spadefish hovering just off the reef, while squadrons of barracuda and rainbow runners made frequent appearances in mid-water. 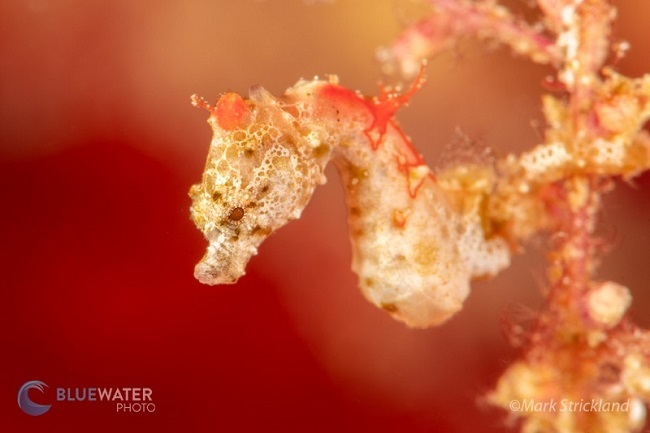 Looking closer among the forest of gorgonians, our eagle-eye guides pointed out well-camouflaged crabs, shrimp, and several species of pygmy sea horses, many of which would otherwise have gone unnoticed. 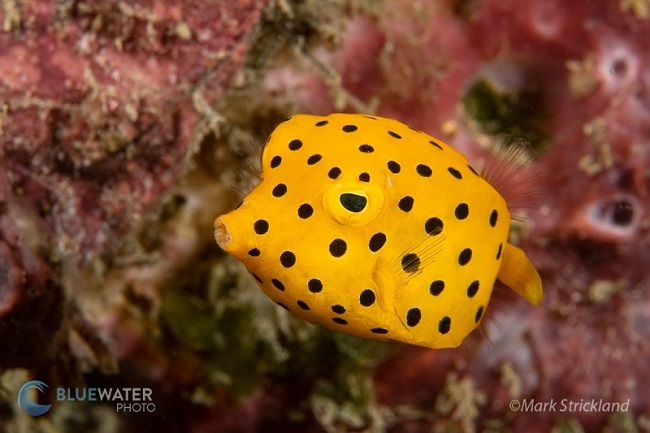 Gaudy wrasses flitted about, elegant blue-girdle and regal angelfish meandered among the corals, as a trio of strikingly patterned clown triggerfish continued their browsing while keeping a wary eye on us bubble-blowers. Everywhere we looked there was something new, and scarcely a minute passed without some kind of exceptional creature passing into view. To say that the diving was outstanding would be a huge understatement, but we soon learned that such experiences are actually the norm in this amazing destination. The next morning found us at one of the region’s premier sites, Shadow Reef / Magic Mountain. 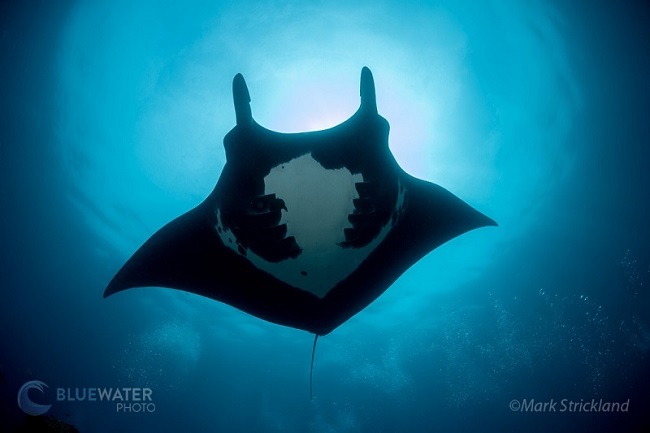 Known as one of the few places where both giant and reef mantas can be encountered, both species make regular appearances here. 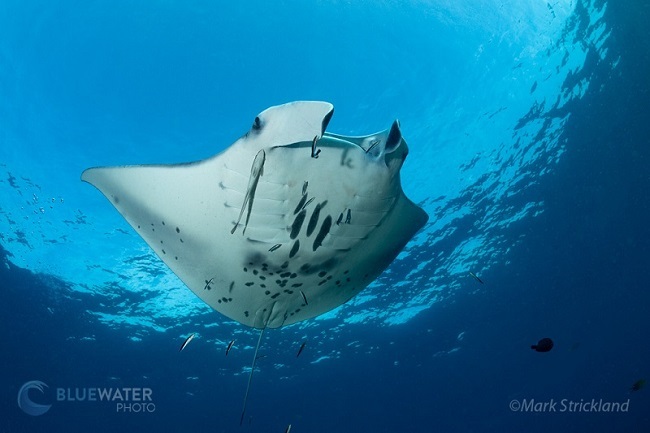 Our trip was no exception, as a friendly reef manta made repeated passes at a shallow cleaning station. Mantas were not the only big animals however, as several gray reef sharks patrolled in the distance, along with a huge giant grouper that hovered just on the edge of visibility. 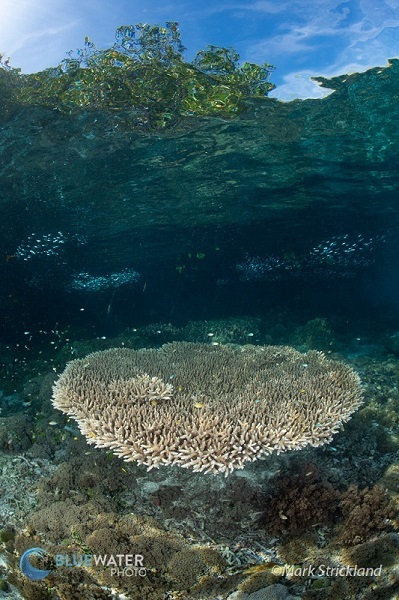 As the trip went on, we continued exploring the southern region, visiting premier sites such as Boo Windows, where shafts of sunlight stream through a natural porthole in a limestone islet, complimented by thriving soft corals and fans, plus a vast variety of fish and critters. 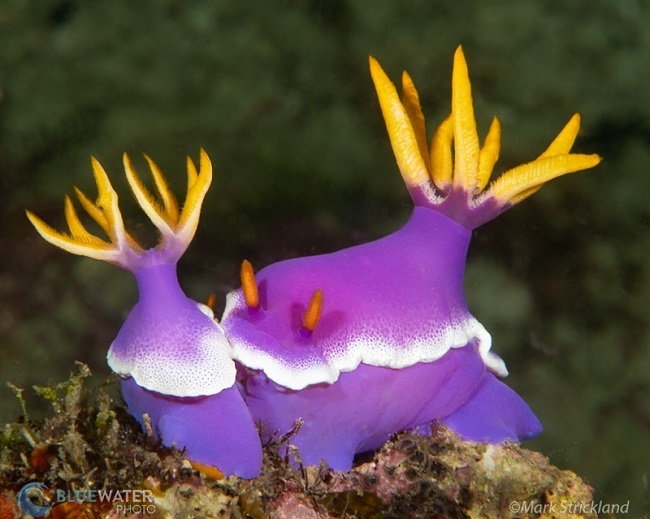 We also did several dives in the vicinity of Nudi Rock, which, seen from the surface, bears an uncanny resemblance to its nudibranch namesake. 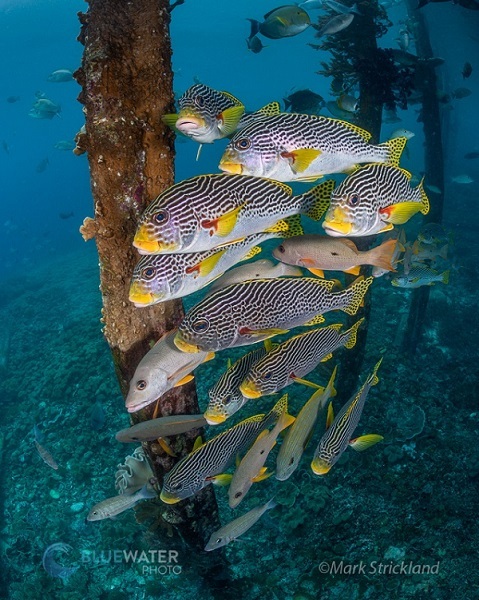 Underwater, this area features an incredible profusion of gorgonians in a wide range of colors, complimented by waves of fusiliers and trevallies in mid-water, along with larger fish like barramundi cod, bumphead parrotfish and several young Napolean wrasse. 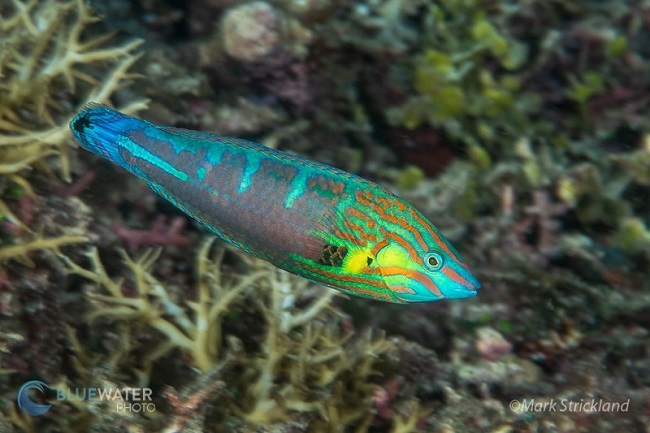 Another highlight was a dusk excursion on a sloping hard coral reef, where we spent the entire dive hovering over a rubble patch that is home to three different species of flasher wrasse. 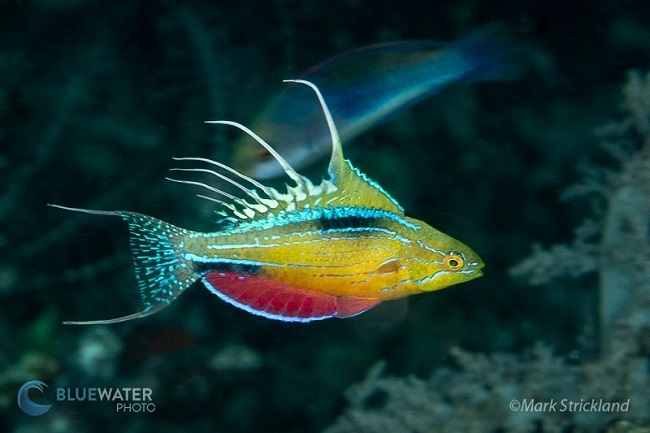 As is typical with these little beauties, they were constantly in motion, zipping around in seemingly random patterns, only occasionally flaring all their fins in a photogenic pose. Of course such behavior makes flashers extremely challenging to photograph, but a few determined shooters did manage to get a shot or two. 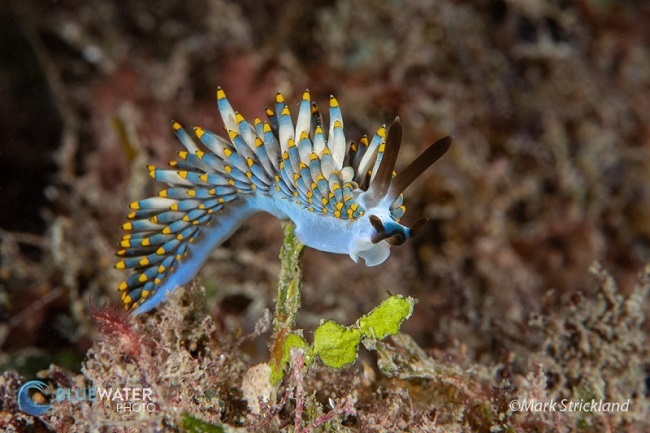 Fortunately there was also an abundance of other subjects, including nudibranchs, octopus, and several pairs of Mandarinfish. Gorgonian Passage was another outstanding site, where a narrow channel separates a towering limestone wall from an idyllic white-sand beach on the opposite shore. 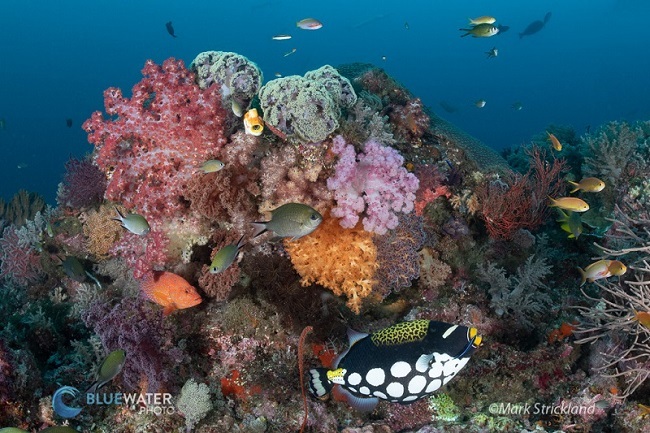 Our dive was timed to coincide with a brisk current, which made for an exhilarating drift dive amongst scattered bommies and ledges, most of which are densely populated with soft corals, sponges and gorgonians, along with an ever-changing parade of reef fish. 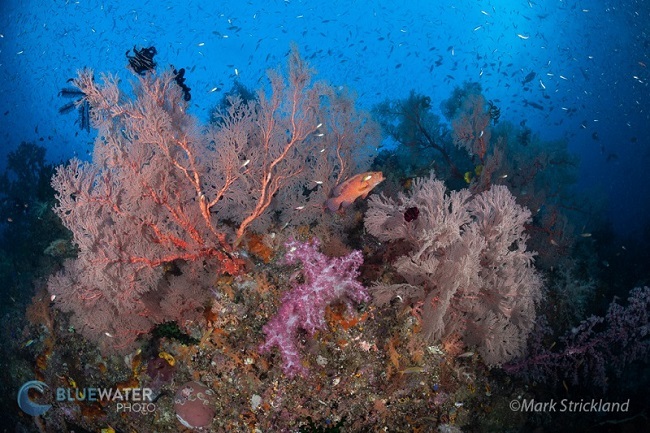 As the dive continued, the terrain became more vertical, with huge gorgonians covering nearly every surface at every depth. Over the next few days we continued exploring the south, including Daram, where sites like Black Rocks, Candy Store and Andiamo offered more captivating scenery and a wide range of creatures large and small. Our next stop was the Sagof area, where we dived Two-tree island, then spent the afternoon steaming to the site of a newly developed viewpoint, where several hundred steps lead up to spectacular vista of the surrounding islands. 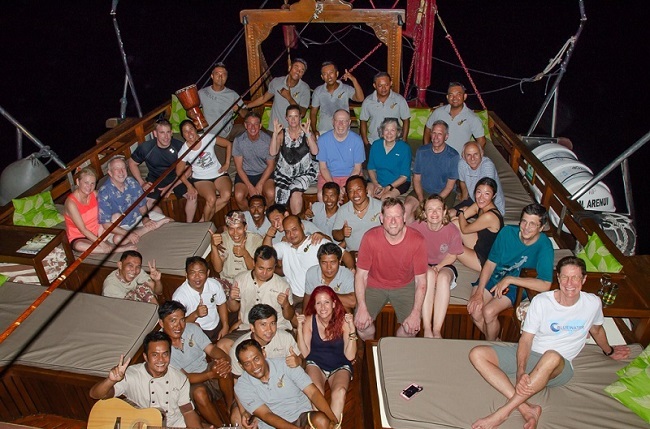 After a delicious dinner on Arenui’s top deck, it was time to head north to our next dive region, Batanta Island. Once underway, however, rough seas made for a slow and rather uncomfortable night’s crossing. When we arrived, we found the sites where we’d planned to spend a day of “muck” diving to be hopelessly murky due to the heavy swell. Fortunately, this prompted us to spend the day doing exploratory dives on the opposite shoreline, which was well protected. By their nature, exploratory dives are hit-or-miss affairs, but this time luck was with us. 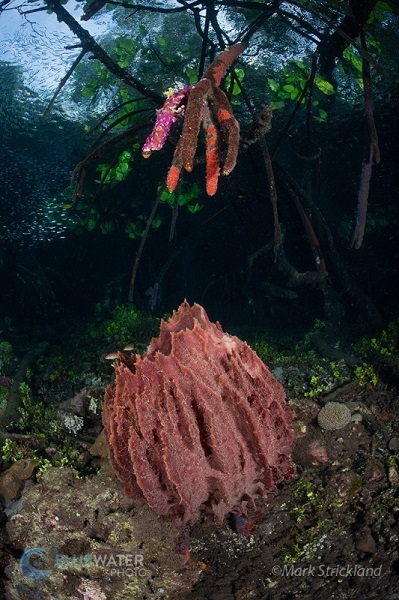 Our first site, just off Sagewin Island, consisted of a healthy hard coral reef accented by occasional gorgonians, sponges and soft corals. The main attraction was a profusion of small colorful reef fish, but we also encountered a friendly hawksbill turtle, and thanks to our sharp-eyed guides, a miniscule pug-face Pipefish. 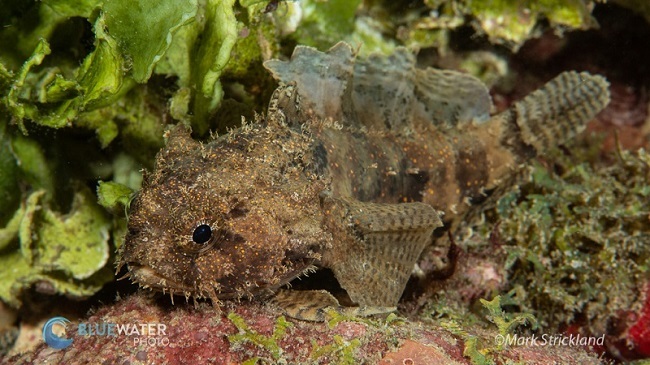 For the remainder of the day, however, we dived a mucky slope in front of Killam village, which proved a treasure trove for unusual critters including bobtail squid, leaf scorpionfish, toadfish, juvenile boxfish, ghost pipefish, and a number of beautiful and unusual nudibranchs. 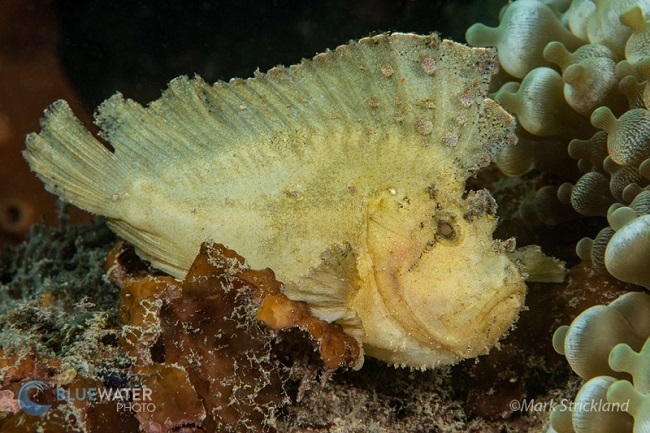 Perhaps most exciting, however, was a small, translucent greenish anglerfish that we later learned was a seldom-seen species, the cryptic frogfish. The last few days of the trip were spent in the north, in the vicinity of Dampier Strait, where dozens of excellent sites offer something for almost anyone. 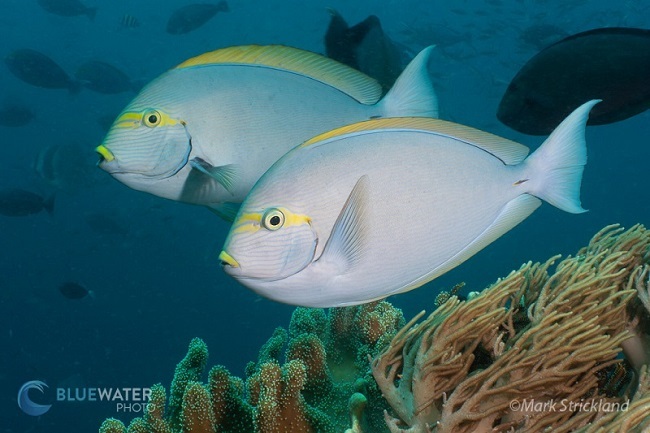 At the small islet of Mioskon, big schools of trevallies patrolled in mid-water, while a wide assortment of reef fish meandered among healthy coral heads at depth. 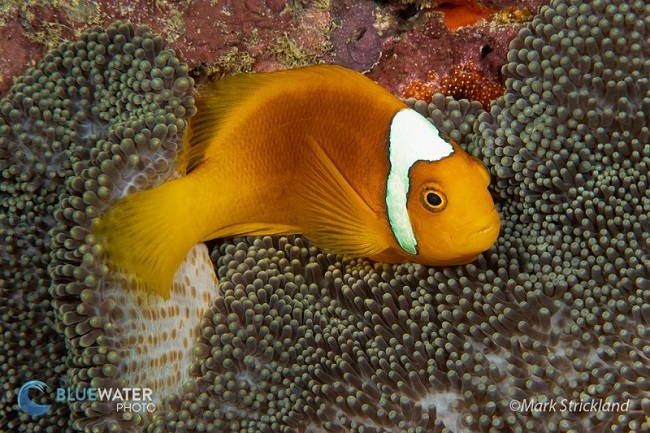 There were also some notable bottom dwellers, including expertly camouflaged Wobbegong sharks, several species of pygmy seahorses, and a highly unusual white-bonnet anemonefish, which is usually seen only in the Solomon Islands and Papua New Guinea. 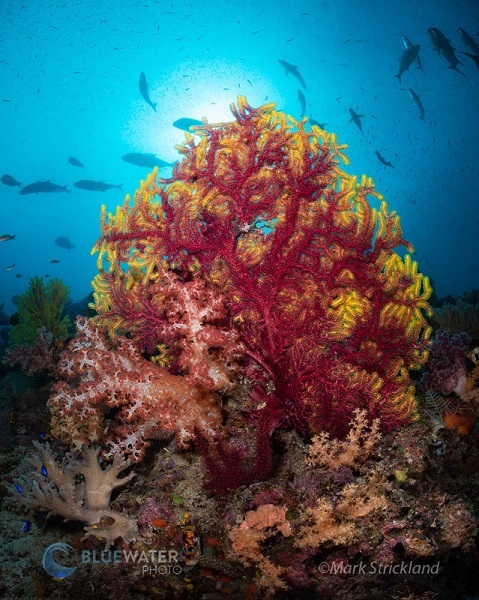 Another stellar dive was at Blue Magic, a submerged reef that’s often subject to vigorous current. 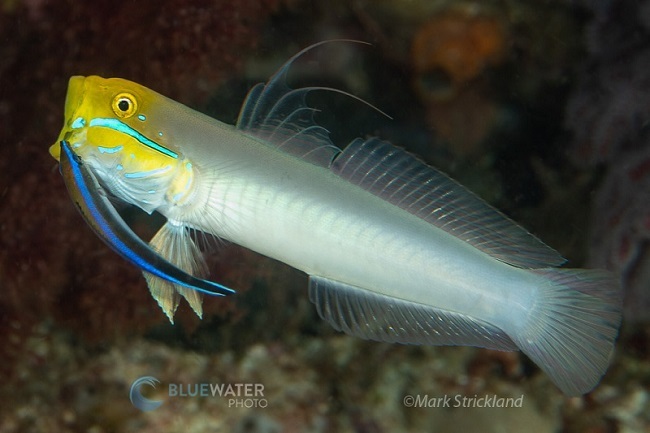 The resulting upwelling sweeps a steady stream of plankton into the shallows, attracting a variety of planktivores including fusiliers and other schooling fish. The stars of the show, however, were at least five giant mantas that repeatedly glided into view, hovering effortlessly in the current. Some appeared to be feeding, as indicated by the cephalic lobes on either side of their mouths being unfurled, creating huge scoops that funnel plankton into their gullets. 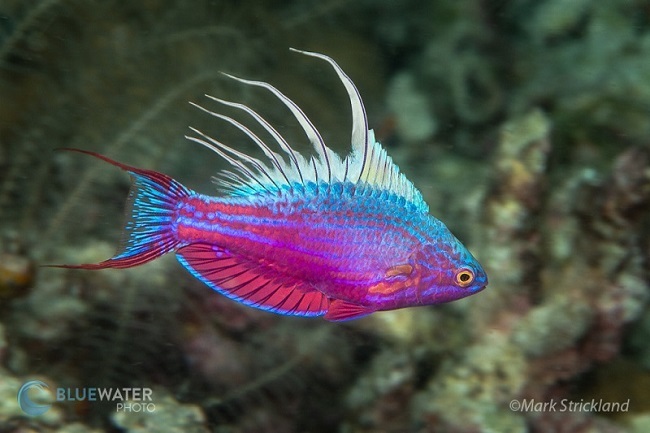 Other individuals had other priorities, as they hovered at several cleaning stations, waiting patiently as cleaner wrasses picked off bothersome parasites. Our last full day included dives at Mayhem, where we encountered several cool nudibranchs, a free-swimming wobbegong and a large bumphead parrotfish, and Citrus Ridge, where the lack of current allowed us to explore not only the detached main reef, but also the healthy hard coral reef along the shoreline. Between these two reefs, a sizable school of barracuda hovered in formation, providing some nice photo ops for those who took their time approaching them. The rest of the afternoon was spent nearby in a very unusual environment, peeking amongst mangrove roots that serve as a nursery for a host of juvenile creatures, along with oddities like archerfish, which disable their insect prey by forcefully spitting water at them! 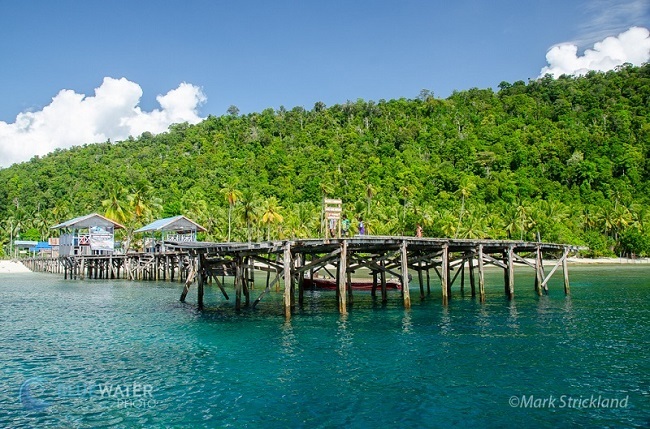 The final dive site of the trip was also among the best, as we spent the morning photographing friendly fish and colorful soft corals under the jetty at Sawandarek Village. 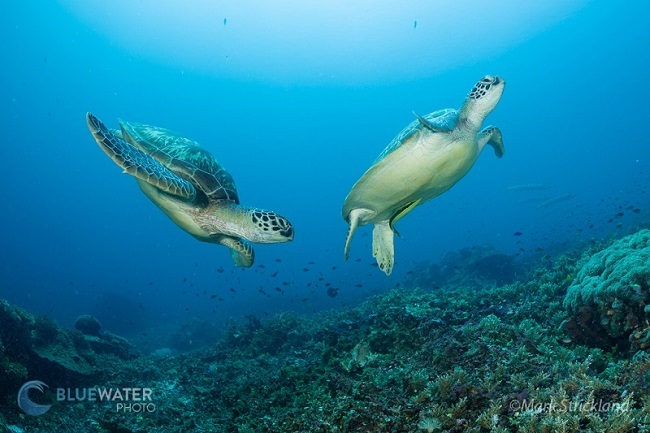 Another attraction was the adjoining sloping reef, where we encountered mixed schools of several sweetlips species, a large stingray, and a pair of unusually approachable green turtles. After diving was concluded, we had a very pleasant walk around the tidy, well-kept village, where every person we encountered flashed a welcoming smile. We also paid a visit to the school, where the entire class paused their studies to sing a couple songs for our group. 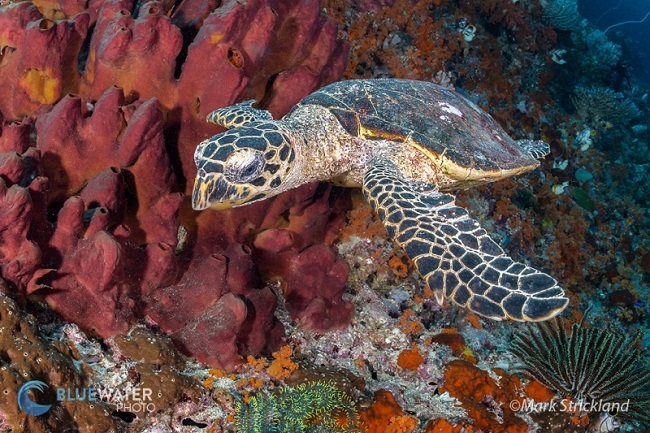 As with all our photo workshops, underwater imaging was a high priority on this trip, and the abundance of photo ops did not disappoint. 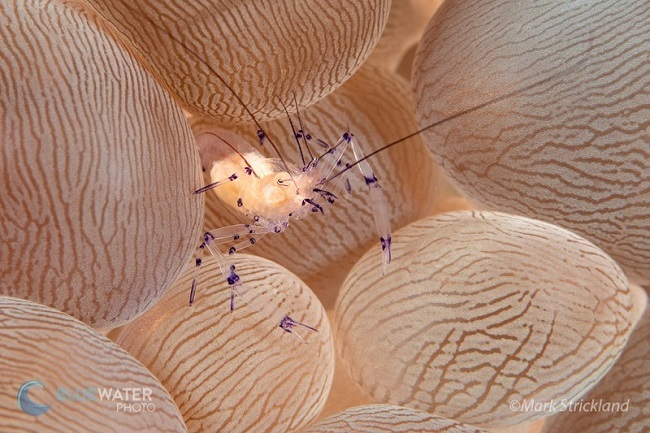 Since each dive delivered a wide range of subject matter, one of the biggest challenges was choosing which lens to use next! 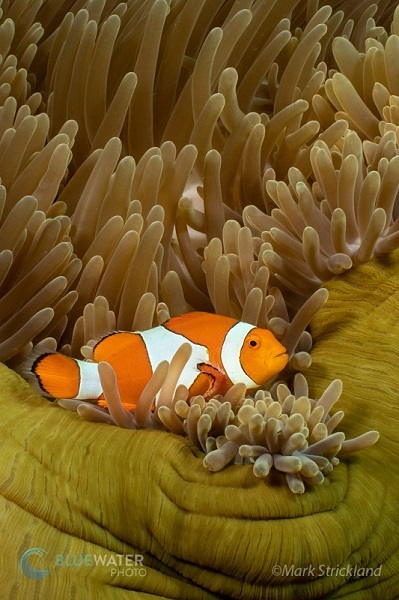 Everyone also benefitted from daily lectures, image reviews and personal instruction, covering all aspects of underwater photography including camera settings, composition, interaction with subjects and more. And, as icing on the cake, every participant came back with a selection of memorable images of their trip. Our last night was spent in the port of Sorong, where we enjoyed a final dinner under the stars, after which the entire crew joined us for singing, dancing and general celebration of a successful trip. 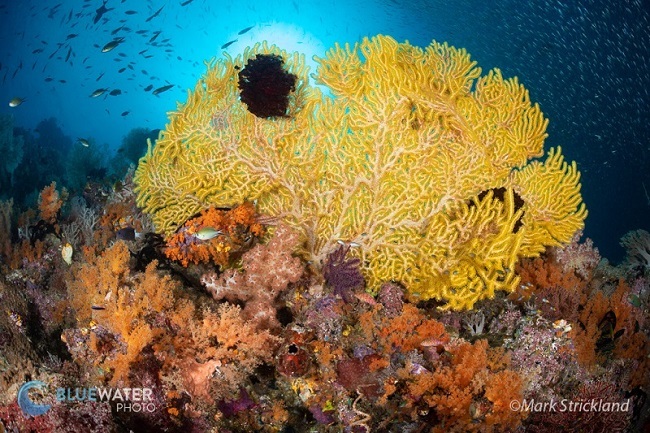 Raja Ampat is not the easiest place to get to, but I think we all agreed that it was well worth the effort to dive this very special destination. Personally I am already eager to return, and suspect that most if not all participants shared similar sentiments. 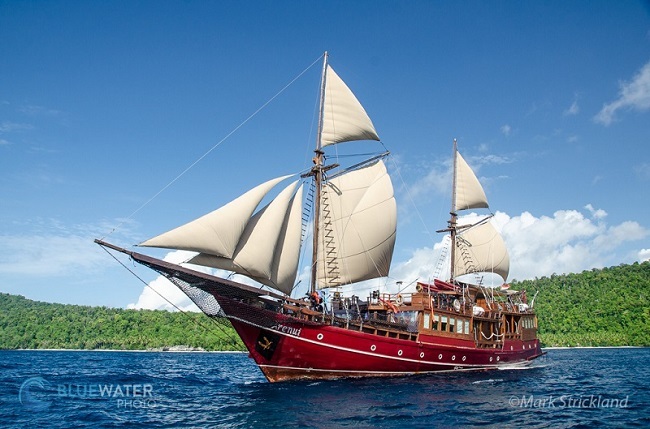 Join our upcoming Raja Ampat trips! 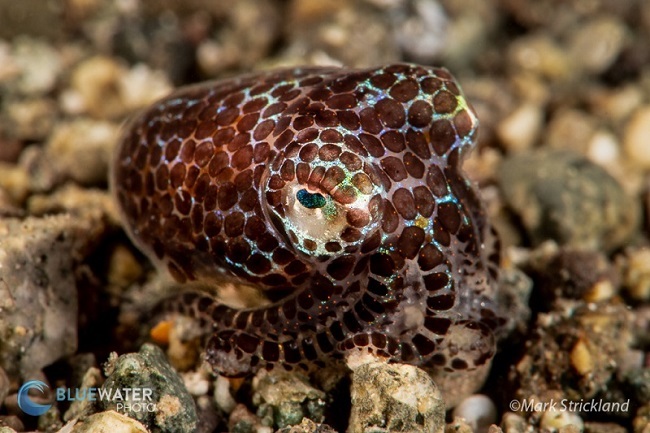 Raja Ampat scuba diving trip report by Mark Strickland.